These Christmas wish lists will help your child, and everyone else in the family, really pinpoint what they want for Christmas this year. There are many different styles of Christmas wish lists here, each one cuter than the next. I've divided them into categories so you can find the perfect list for your little one, elementary aged child, teenager, and even for yourself. All the Christmas wish lists are free and can be printed out right from your computer. They can be printed on any type of paper but you may want to consider using a heavier paper like cardstock if you'd like to have them as a keepsake. After your child has filled out their Christmas wish list, have them write a letter to Santa using a Dear Santa letter template and then send them off to the North Pole. I'm sure they'd love to get a letter, video, or call from Santa after he's received it. These Christmas wish lists are great for kids. They have plenty of room for the kids to write and ask for really specific wants to help them focus on what they really want for Christmas this year. Shabby Art Boutique's Printable Christmas List: The kids can list their wishes and color in the page. Free Christmas Wish List from Stout Stop: This is more than just your average Christmas wish list, asking kids for their favorite colors, candy, TV show, hobby, band, movie, school subject, and more. The Best Christmas Wish List from Pint-Sized Treasures: Kids can fill in what they want for Christmas that they can wear, read, want, need, and give. A Christmas Wish List: Kids can fill in the presents they like, what they collect, as well as their favorite color, flavor, game, movie, music, and charity. There's also room for them to list their sizes of clothes and shoes, making this a great list to hand out to grandparents. 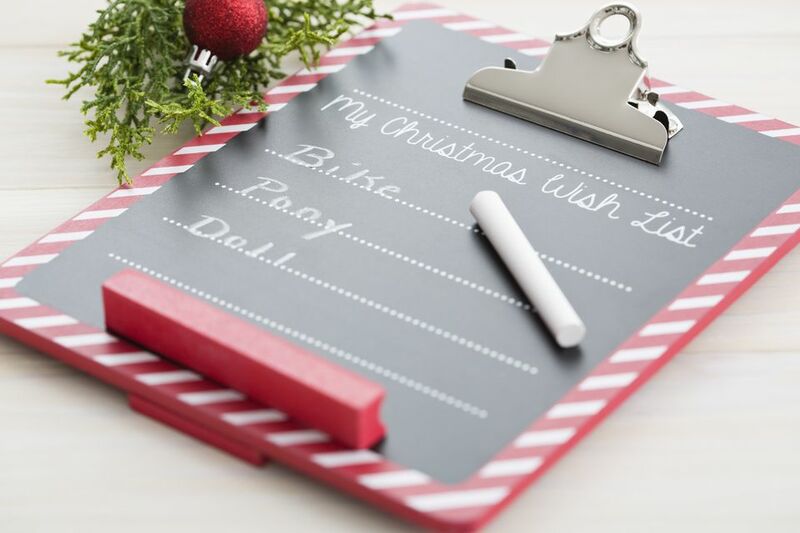 My Christmas Wish List: Here's another Christmas wish list that asks the kids to fill out all their favorites - colors, candy, TV shows, movies, animals, school subject, hobby, sport, book, cereal, and more. Your toddler and preschooler don't have to be left out of the fun! Here's a list of Christmas wish lists perfect for the little kids. Some are picture based lists and other's have lines for simple words and phrases. Paperspice's Free Printable Christmas Wish List: This Christmas wish list is perfect for ages 3-7. There's space for their name, age, and their most important Christmas wants. Living Locurto's Christmas Wish Lists: There are three different Christmas wish lists here perfect for the younger kids. There's one for pictures, one with pictures and text, and one only with lines. These Christmas wish lists work well for everyone. Print one out and give it to everyone you know, kids and adults included. Jenny Allsorts Jolly Holiday List: Here are a colorful Christmas wish lists featuring two elves. Organizing Homelife's Christmas Wish Lists: There are three Christmas wish lists here, for boys, girls, and everyone. Each wish list has a section for gifts you really want, things you love, things you need, stocking stuffers you love, favorite color, favorite music, clothing sizes, favorite stores, favorite books, and favorite movies. Anders Ruff's Printable Wish List: This Christmas wish list is beautiful with the red and green gifts on the bottom along with plenty of lines for your holiday wants. Four Rule Christmas Wish List: There are four spots available to list gift ideas for something you want, need, read, and wear. At the bottom, there's a spot for the one gift you want the most. Dear Santa Christmas Wish List Printable: This is a beautiful printable Christmas list that's great for any age of kid, teen, or adult. Don't leave the older kids and grown-ups out either. Here are Christmas wish lists geared to the older crowd that have more of a sophisticated feel to them. Jones Design Company's Christmas Wish Lists: Here are two different styles of wish lists with simple elegant titles and no lines. Wonder Forest's Free Christmas Wish List: This "Santa Won't You Bring Me" list is perfect for the older kids and adults, asking them if they've been naughty or nice at the bottom. Inky and Bright's Christmas Wish List: Here's a printable Christmas wish list perfect for those of us that like to be more tactful when asking for gifts. There's a place to list what you'd love as well as handmade gifts you'd like. There are many more free Christmas printables to help you celebrate this holiday season.